In some cardiovascular diseases, an enlarged heart is determined. This pathology does not bode well, because at any moment decompensation can occur and then there is a threat of heart failure. Therefore, in the presence of risk factors you need to monitor your condition and in case of its violation in time to consult a doctor. 2 An enlarged heart - can it return to normal? An enlarged heart (cardiomegaly or “bullish heart”) is characterized by an increase in the size of the heart chamber or myocardium . A similar pathological process is known as hypertrophy . 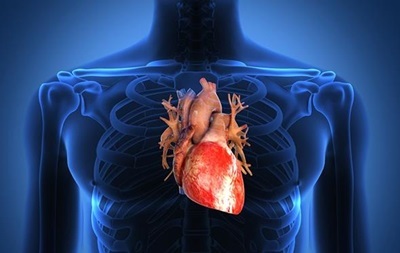 Often, an enlargement of the heart is a reaction to the stresses that the heart muscle is subjected to.Initially, hypertrophy may be one of the stages of the compensatory reaction, but in fact it turns out to be somewhat harmful. Cardiomegaly does not belong to independent diseases, since it mainly develops against the background of other pathological conditions such as obesity, hypertension, and coronary heart disease. Diagnosing an enlarged heart is not difficult. More questions usually arise during treatment. The use of drugs very rarely can significantly improve the condition. Most often, the drugs need to be taken until the end of life in order to avoid serious complications. There are several ways to increase the heart, which are often a process of ventricular hypertrophy and myocardial remodeling. High blood pressure and an enlarged heart. The heart, as a rule, during the pumping of blood through the body must overcome the pressure created by the vascular system. With normal blood pressure, this does not pose any particular difficulties for the myocardium. If the blood pressure is high, the heart is under a certain load. This has a stressful effect on the myocardium, which is struggling to do its job at this moment. If a person goes to the gym and lifts weight there, his muscles become larger in response to the load. This process is called hypertrophy. The heart grows in the same way; only the problem that has arisen has several consequences. First, myocardial hypertrophy does not always return to normal size. Secondly, the disease fundamentally changes the architecture of the heart in such a way that it can lead to problems in the future, for example, excessive relaxation and disruption of the affected muscle. Enlargement of the heart is quite strongly associated with heart attacks . In particular, in myocardial infarction, a certain part of the heart muscle may die. The affected area is depleted and then a scar is formed. This increases the load on the affected area of ​​the heart, which causes other areas of the myocardium to become active in order to compensate for the resulting disturbance. The redistribution of stress causes the heart to grow in size, which takes some time. This process is called remodeling.Unfortunately, if this remodeling cannot be prevented to some extent, the cardiac function is reduced as a result. Further, heart failure may occur. A certain genetic predisposition leads to the fact that the size of the heart exceeds the established normal values. The most classic example of this is hypertrophic cardiomyopathy , which often contributes to the occurrence of sudden death in athletes. An enlarged heart of hypertrophic cardiomyopathy is a random arrangement of fibers that are part of the heart muscle.Pathology can lead to lethal cardiac arrhythmias, as well as interfere with blood circulation in the heart. In hypertrophic cardiomyopathy, the thickness of the myocardium increases. There is also a congenital enlargement of the heart, known as dilated cardiomyopathy. With this pathology, the walls of the heart become thin, while the size of the heart chamber increases, and the cardiac pressure function can be greatly reduced. 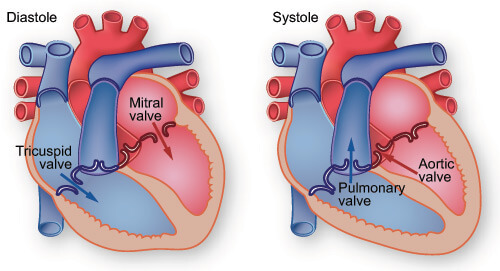 Various diseases of the valvular apparatus of the heart lead to an increase in the heart, which was originally considered as compensatory remodeling, and ultimately leads directly to heart failure if the disease is not treated. In aortic stenosis, the valve through which blood passes to enter the aorta becomes dense, which increases the pressure and stress on the walls of the heart chambers, known as pressure overload. The heart becomes enlarged, which allows it to compensate for the disturbances for a while. Hypertrophied heart, despite the fact that it is well reduced, poorly relaxes and can lead to heart failure. If the pathology is not treated in time, it can lead to a significant decrease in heart function and a weakening of the myocardium. With aortic regurgitation, the same valve allows blood to flow back. In this case, another type of voltage develops, also known as volume overload. Aortic regurgitation is somewhat unique in that it combines pressure and volume overload, which directly leads to stretching of the heart chamber, as well as an increase in myocardium. With mitral regurgitation, the mitral valve, which separates the upper and lower chambers of the left half of the heart, also “leaks”. The classic cause of this leakage is mitral valve prolapse. In mitral regurgitation, the heart is under bulk stress. The expansion of the organ occurs by increasing the size of the chamber and reducing its walls in a process known as eccentric hypertrophy. Unfortunately, if the heart is too enlarged with mitral regurgitation, even leakage correction using surgery or endoscopic procedures, such as Mitraclip, is not able to improve heart function. After surgery, it will usually be reduced. Therefore, it is important to timely diagnosis of various forms of enlarged heart and appropriate therapy for heart disease. Most often they talk about left-sided enlargement of the heart, but it is also important to identify changes in the right half of the organ. This side of the heart is not able to cope with the pressure as intensively as the left side, therefore, under the influence of stress, it can quickly increase and break off just as sharply. Increased pressure in the arteries of the lungs, known as pulmonary hypertension. 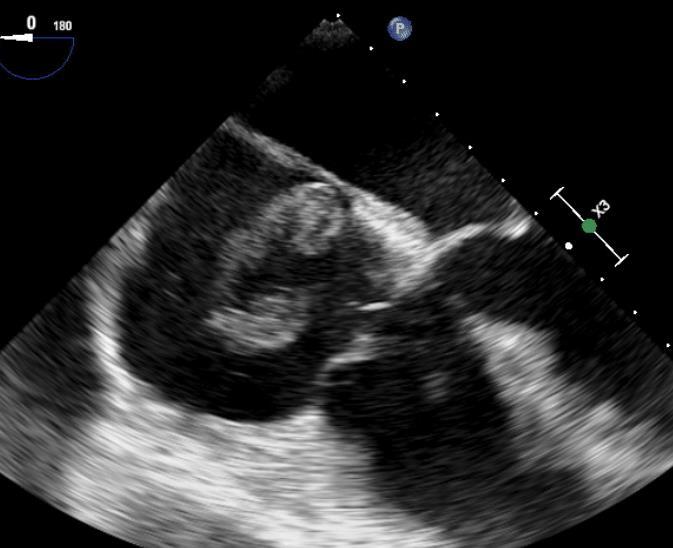 Echocardiogram of pulmonary embolism: a large clot is located on the right side of the heart, during its passage to the lungs, where pulmonary embolism develops. An enlarged heart - can it return to normal? An enlarged heart, depending on the cause, may return to normal size if timely treatment has been performed. In many cases, however, this does not occur, and in this case, the goal of therapy is to quickly determine the cause and conduct treatment to stabilize the situation and prevent further development of cardiomegaly. Early stages of hypertensive heart caused by high blood pressure. Early stages of significant congestive heart disease. 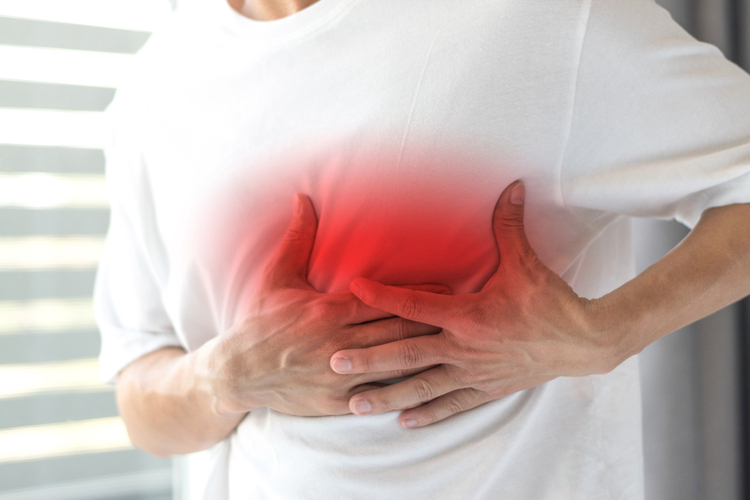 The early stages of a heart attack and sudden weakness of the heart muscle, known as cardiomyopathy, may be associated with pregnancy, severe stress, or a viral infection. The right side of the heart has a remarkable ability to recover from acute stress, so treating the underlying cause may contribute to full recovery. Cardiomegaly therapy will depend on the condition of the heart and associated diseases. 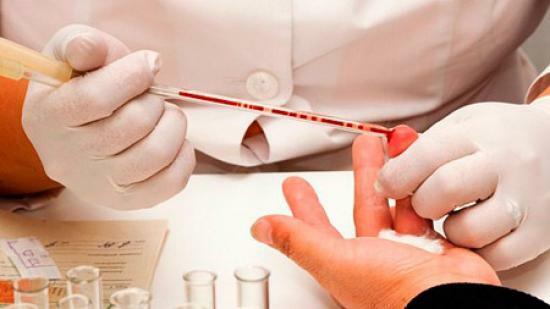 Medical manipulation or surgery may be required if the disease is not controlled by medication and lifestyle changes. 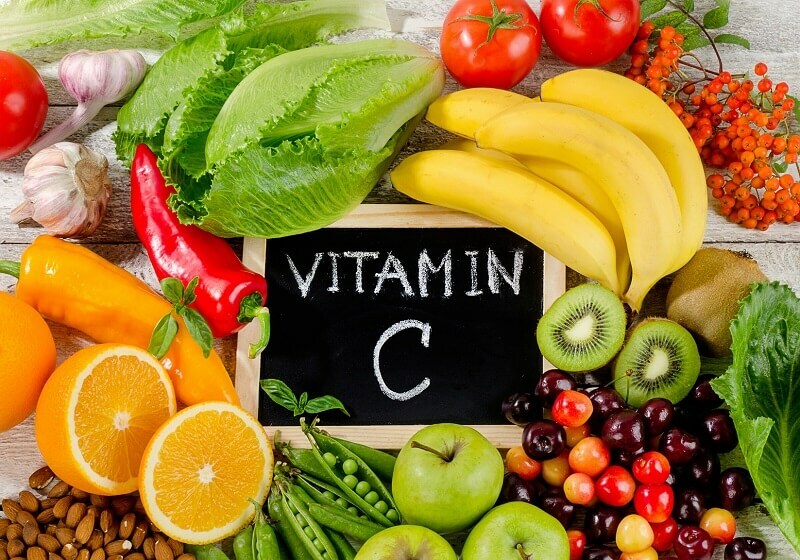 Prevent the formation of blood clots. Reduce the risk of heart attack or other complications. Increase the strength and effectiveness of heart contractions. Coronary artery bypass - this operation improves blood circulation, eliminates chest pain and prevents the development of a heart attack with sewn arteries or veins taken from other parts of the body. Such anastomosis allows you to bypass the narrowed coronary arteries. Implantation of an auxiliary device to stimulate the work of the ventricles - with the help of this device the weak heart muscle is reduced more effectively. Heart valve surgery — an operation can be performed to reconstruct or replace with an artificial valve taken from a cow, pig or man, or made from piece materials. Heart transplant surgery is an extreme method of dealing with heart problems that cannot be recovered by any possible means for today. The length of stay in the hospital depends on the surgical procedure. After bypassing the coronary artery, the patient spends one to two days in the intensive care unit and another three to five days in another unit before he can return home. Full recovery can take 6-12 weeks. It is certain to say when a patient is allowed to be physically active again, including returning to work or resuming sexual activity, only a doctor can. Recovery after implantation of a ventricular stimulator depends on the general condition of the patient before the operation. As a rule, the patient spends one to two days in the intensive care unit and another three to five days in another unit before he can return home. Sometimes you have to gradually move home from the hospital, which means staying at home during the day, but returning to the hospital in the evening. The physician will usually report the acceptable level of activity that participation can adhere to, until the recovery process is fully completed. After a cardiac valve operation, it is usually necessary to spend one or two days in the intensive care unit and another three to five days in another unit before being allowed to return home. Full recovery can take 6-12 weeks. The doctor basically tells you when the patient can be physically active again. After a heart transplant, you must spend several days in the intensive care unit and several weeks in another unit before being allowed to return home. After discharge, you need to be in close proximity to the hospital for the first six weeks in order to maintain the necessary regime of visits and laboratory tests. When the opportunity arises, the doctor reports on an acceptable level of physical activity, in which you can adhere until the full recovery of the body. 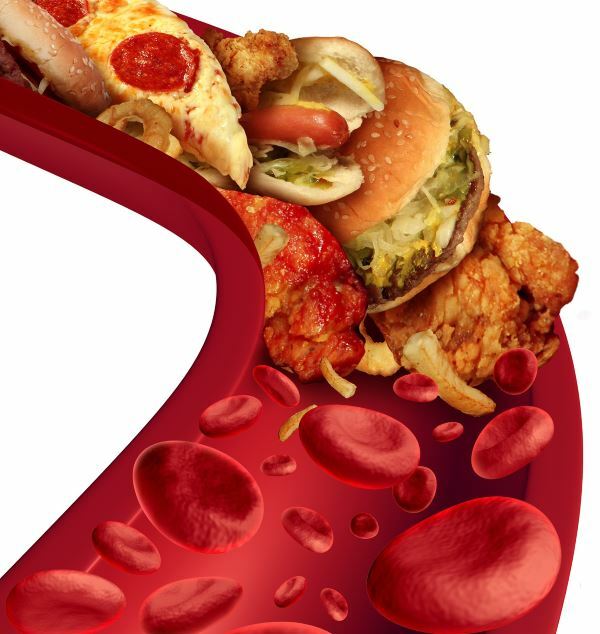 You should practice a diet low in fat, cholesterol and salt. Daily you need to perform exercises from exercise therapy. It is important to avoid the use of tobacco and alcohol. It is necessary to minimize the level of stress. If there are risk factors for high blood pressure and others, you need to take medication prescribed by your doctor every day. Thrombus formation . Blood clots can weaken the work of the heart and affect its ability to pump blood throughout the body. If the pieces break off from the thrombus, then such emboli spread with the bloodstream and can block the blood vessel in any part of the body. Cardiac arrest or sudden death, stroke and pulmonary embolism - all of these diseases are associated with thromboembolism. Heart failure . As the left ventricle increases, the risk of heart failure increases. With its development, the ventricles cease to contract normally and pump blood efficiently. Valve insufficiency . Blood can flow in the opposite direction if the valves (most commonly mitral and tricuspid) do not tightly close properly. As a result, a distinctive sound, called heart noise, is created. Although it may not be harmful, the physician should regularly monitor the condition of the patient. An enlarged heart, or “bullish heart,” is a serious disease that, without treatment, is complicated by heart failure. The occurrence of an enlarged heart is most often associated with other diseases according to the type of genetic disorders, hypertension, and heart defects. Treatment of an enlarged heart is carried out according to indications. In some cases, sufficient medical effects, but sometimes there is a need for surgical intervention. After the operation, a recovery period must pass, which, depending on the severity of the disease, may last two or more weeks. Cardiomegaly is dangerous because of its complications, since in severe cases there can be sudden death, valve insufficiency, etc. 2. “What Is an Enlarged Heart (Cardiomegaly)?”. WebMD. 2019-01-30. What does the human heart look like? The heart belongs to vital organs, therefore without it it would not have been possible for a single person to exist. The structure, as well as the appearance of the heart, is rather diverse, but quite capable of logical explanations. A proper understanding of how the human heart looks like a healthy estimate of the body’s overall capacity.